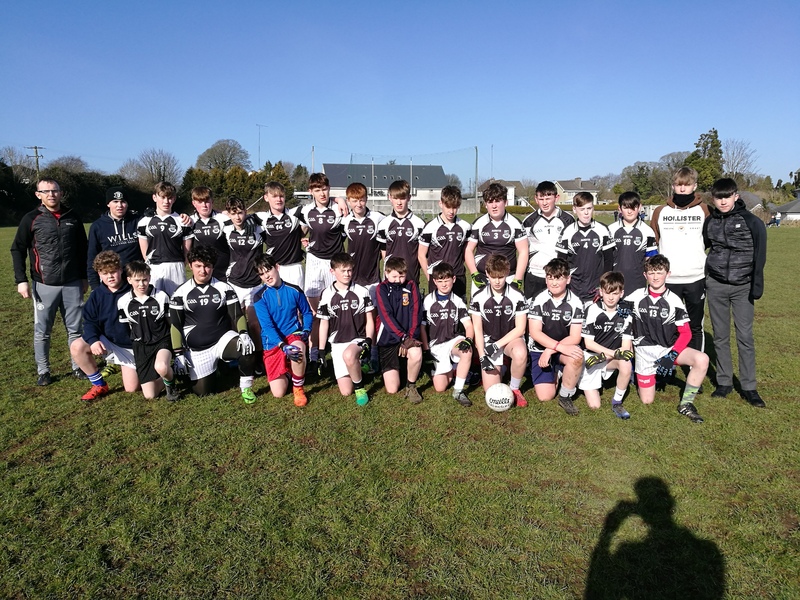 Our U-14 footballers travelled to play Oaklands CC Edenderry in the North Leinster Semi Final last Wednesday, 21-2-18. Despite getting off to a bad start, we battled our way back into the game and after 15 minutes trailed by a score of 1-4 to 1-2. After this the physical strength of the Oaklands team began to tell and they scored some impressive points in the run up to half time. Our second half performance and work rate was much improved and we got off to a bright start with an excellently worked point just after throw in. The game was much tighter in the second half but Oaklands were always able to maintain their cushion from half time and as we tried to push forward in search of goals Oaklands killed the game off with a goal of their own in the last few minutes. The lads are to be commended for their effort and determination in coming back into the game after getting off to a bad start. The level of hard work in the second half especially was also an indicator of the character of the lads. All players involved performed well but in particular Eric Morrissey, Russell Grattan, Adam O’Halloran and Charlie Doyle.